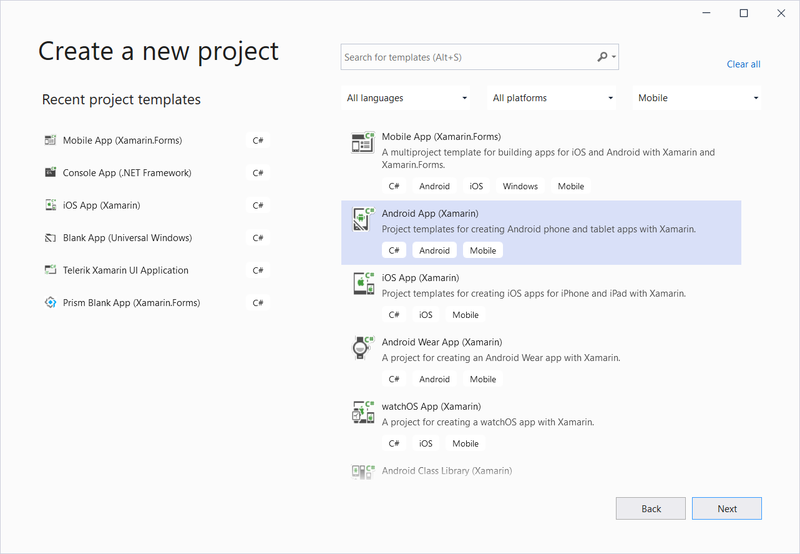 This article explains how to start using Telerik UI for Xamarin.Android in Xamarin. Add references to the libraries inside your project. 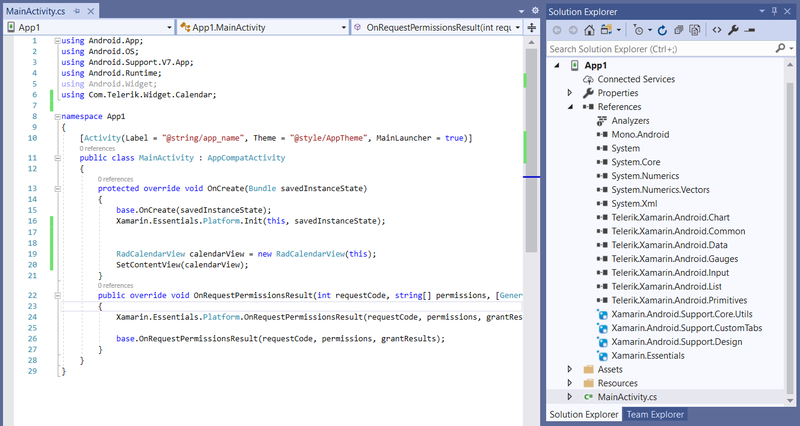 Add the appcompat and the recyclerview packages using the NuGet. Please note, that since we are using features added with API 23, the target API for your project should also be at least 23. Also note, that the Target API level is different than the Minimum API level. UI for Android supports API 14 as a Minimum API level. Here's more about the difference between Minimum and Target API Levels. 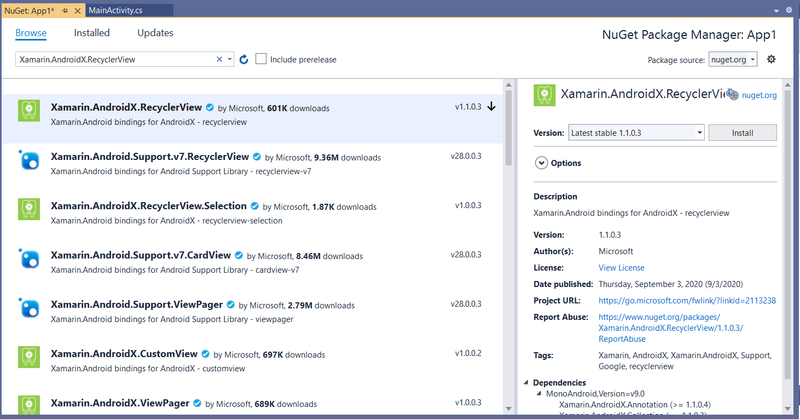 Check Download Product Files topic for detailed instructions on how to navigate to Telerik UI for Xamarin download page. 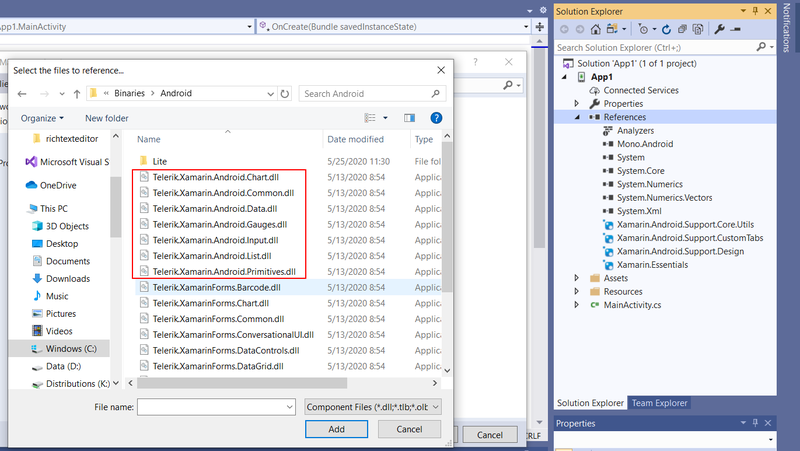 Download "Telerik_UI_for_Xamarin_[version]_[license].zip" file which contains the needed assemblies for Xamarin.Android development inside Binaries/Android folder. Click on New Solution in the home screen in Xamarin. In the New Project Wizard, select Android Application , choose a name for your project and click Ok. Your solution is now ready to use Telerik UI for Xamarin.Android. We have prepared a Samples project which you can find in the installation folder in the \Examples subfolder.